Thanks to Charlie Mullendore of Antietam Classic Cycle for providing some of the following information. Moto used two different versions of the fuse panel. Both were manufactured by Fratelli Pagani. Early V700 models came with a fuse panel with 4 fuse positions. This was given part number MG# 12743021. The Pagani or CEV part number was 02768. Later models came with a fuse panel with 9 fuse positions. This was given part number MG# 12743023. The Pagani or CEV part number was 02929. 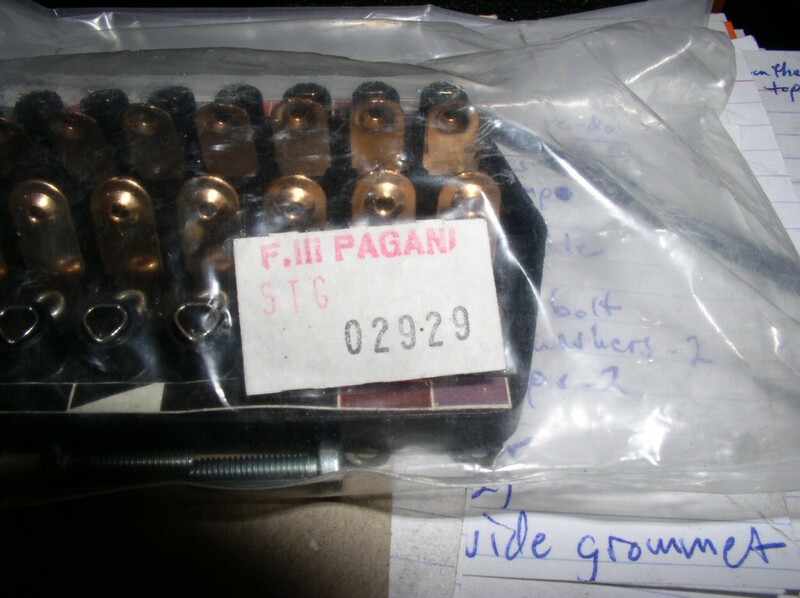 Fuse block manufactured by Fratelli Pagani; part number 02929. Applicable to Moto Guzzi V700, V7 Special, Ambassador, 850 GT, 850 GT California, Eldorado, and 850 California Police motorcycles. 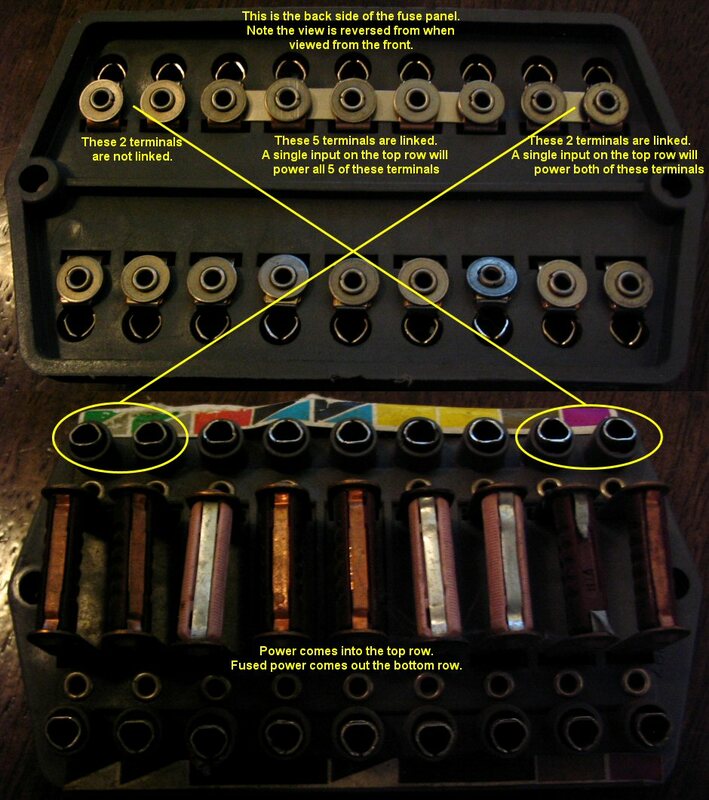 Here is a photo I put together of the front and back of the 9-fuse version of the fuse block. Note the two sets of joined terminals that are positioned at the top of the fuse panel. Back and front view of the original fuse block. Applicable to Moto Guzzi V700, V7 Special, Ambassador, 850 GT, 850 GT California, Eldorado, and 850 California Police motorcycles.